Posted Tuesday, 12/2/2014 8:54:12 AM - Now Available! A Holistic Vet’s Prescription for a Healthy Herd by our consulting holistic veterinarian, Richard J. “Doc” Holliday, D.V.M. and Jim Helfter. From the ACRES USA Website: Learn to heal your cattle by treating the cause and not the symptoms. Holistic veterinarian Richard “Doc” Holiday is here to share the secrets he’s learned from more than fifty years of experience in animal nutrition and health. Holliday reveals how animals are capable of self-regulating their trace mineral needs when provided with a free-choice selection of minerals. 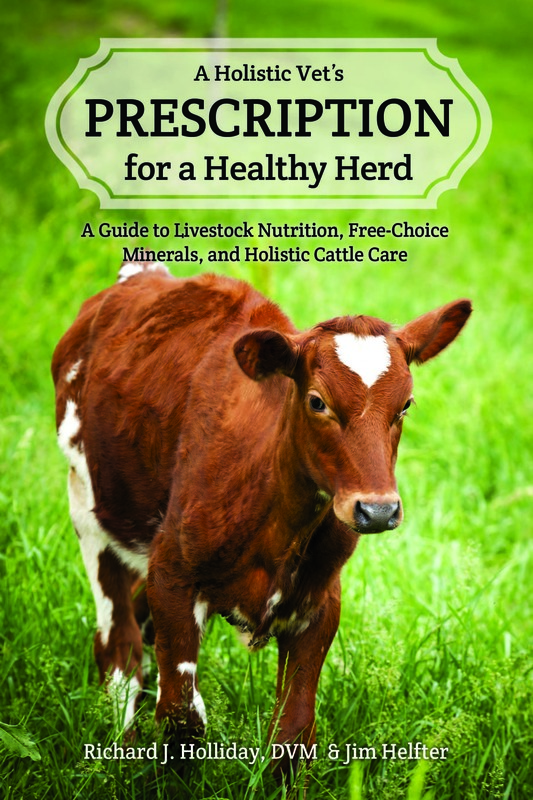 Inside this book you’ll find studies on animal nutrition as well as a veterinarian’s real-life experiences with nutritionally wise livestock. In addition, Doc takes on some of his most frequently asked questions regarding animal health to provide the reader with a clear idea of some organic and holistic solutions to common cattle care issues such as mastitis, milk fever, and calving. Anyone can prove the fundamental concepts of animal health by watching and learning from animals, who will share their secrets with us if we are attentive.